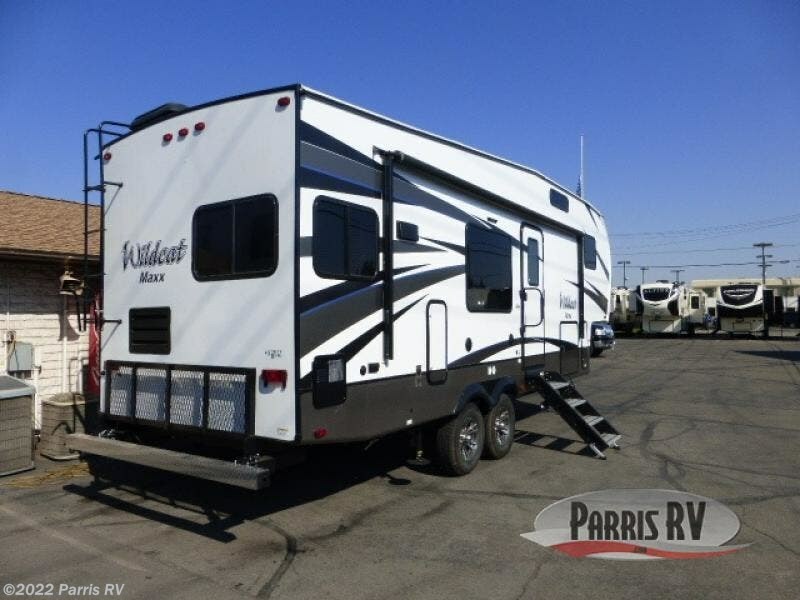 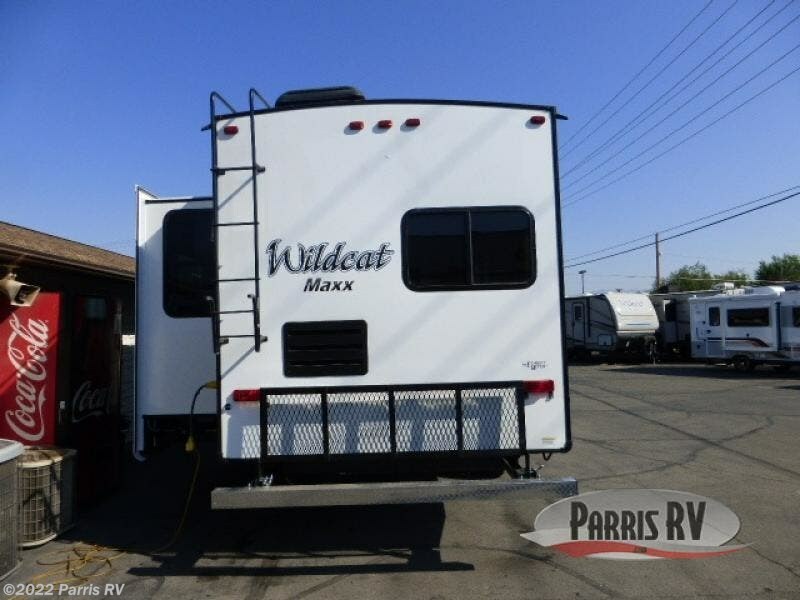 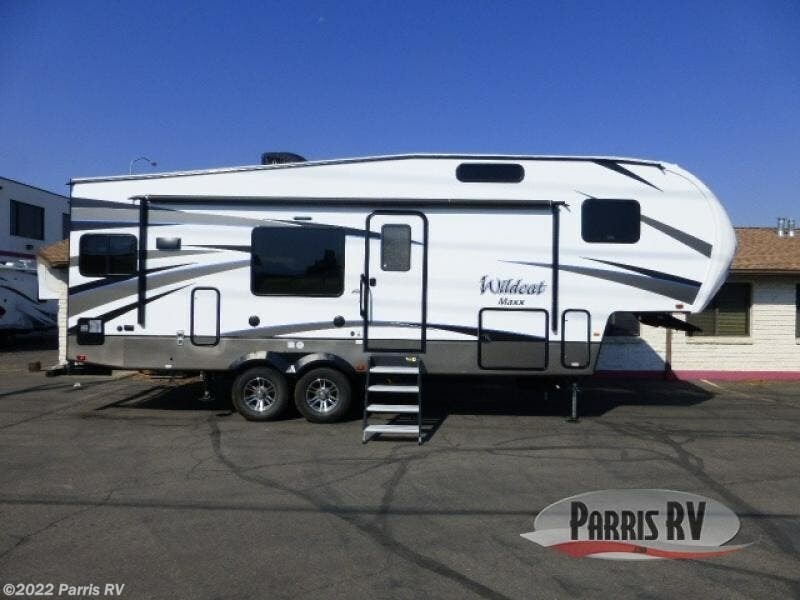 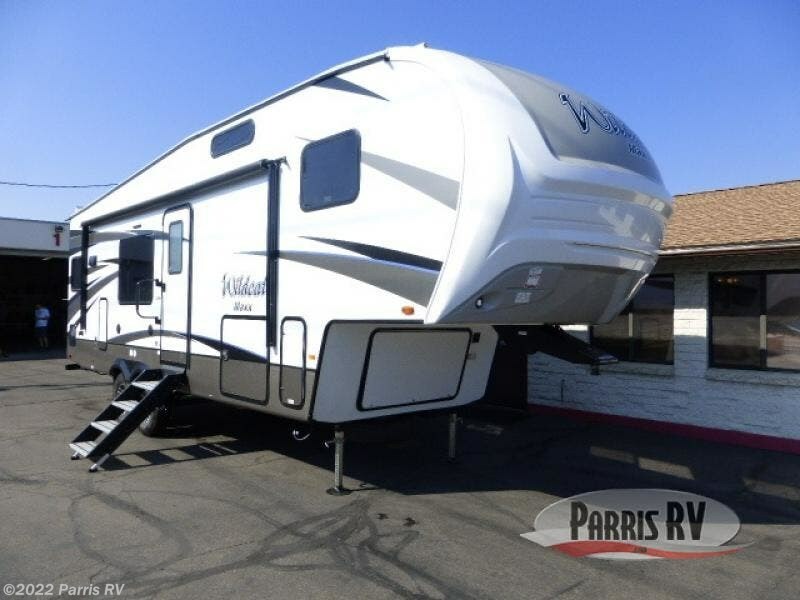 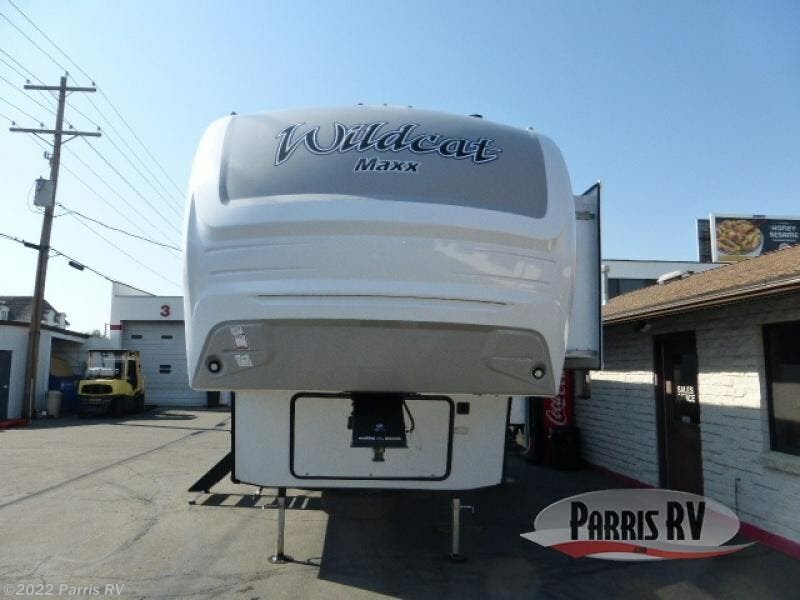 For your next camping trip, choose the double slide out, rear kitchen 285RKX Wildcat Maxx half-ton fifth wheel by Forest River. 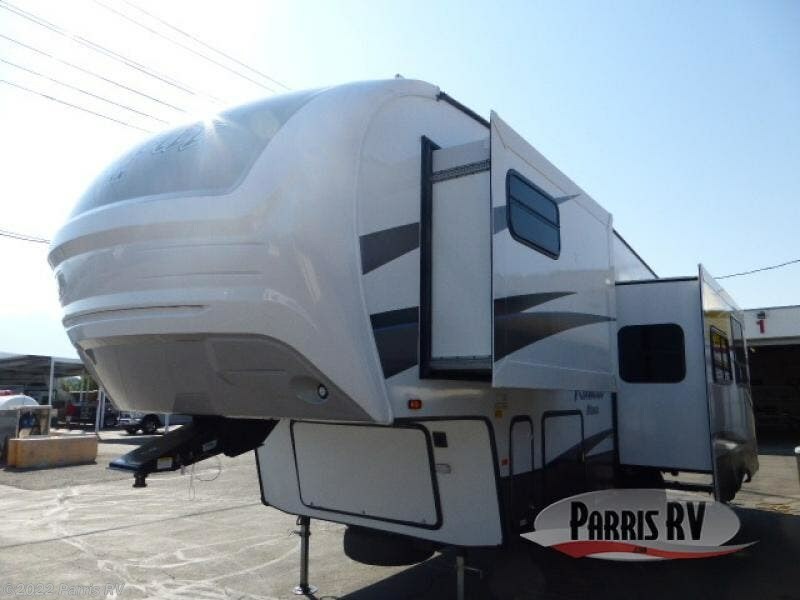 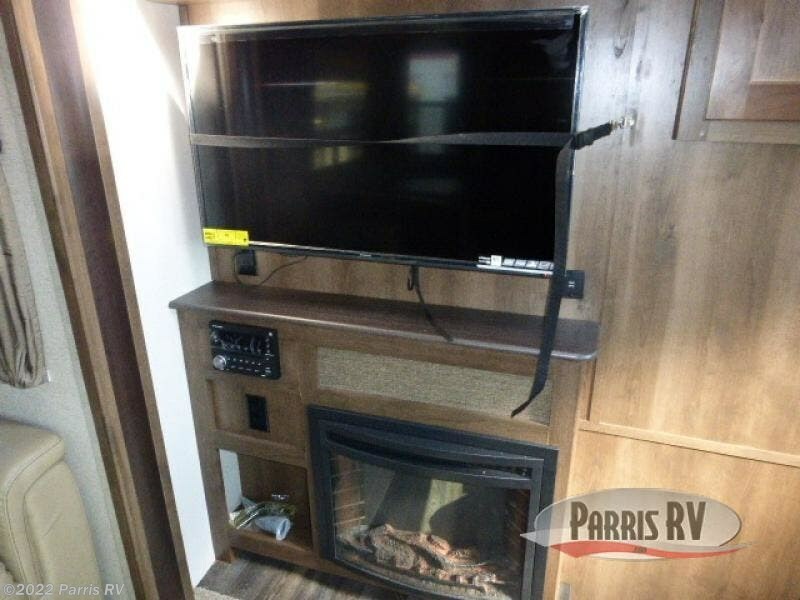 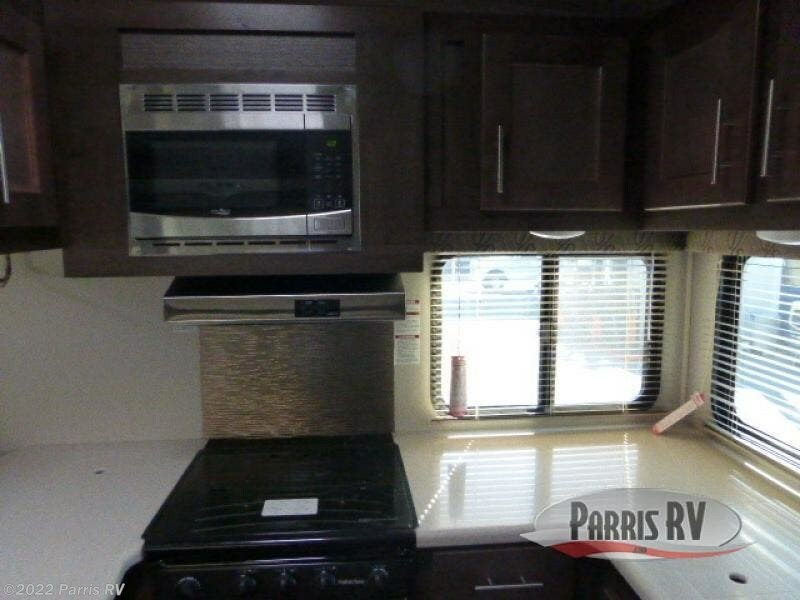 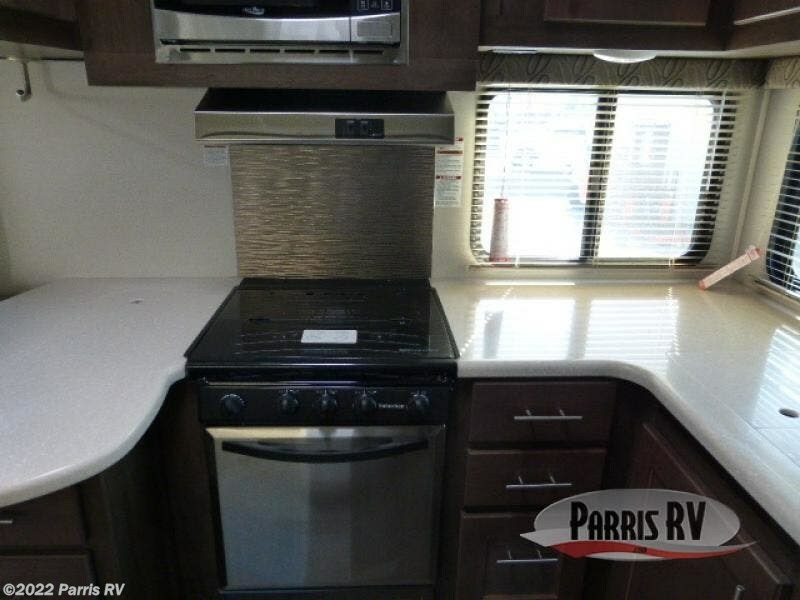 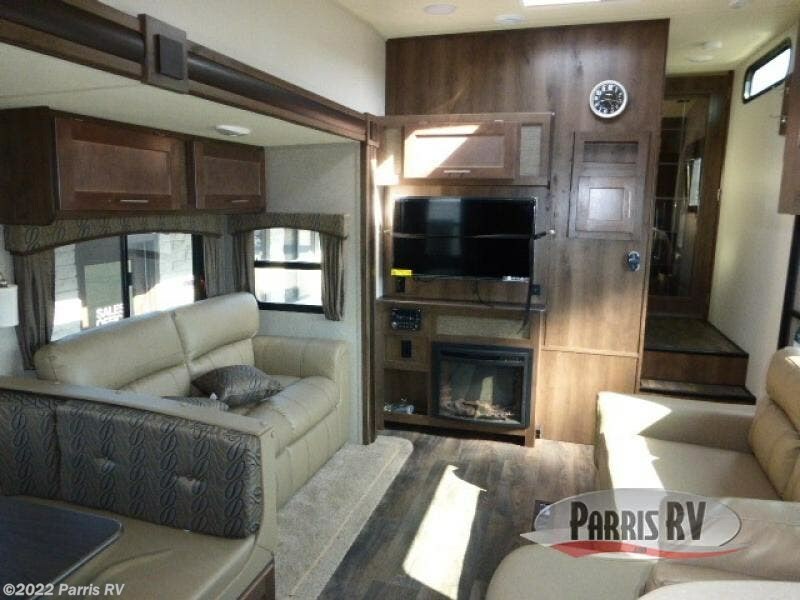 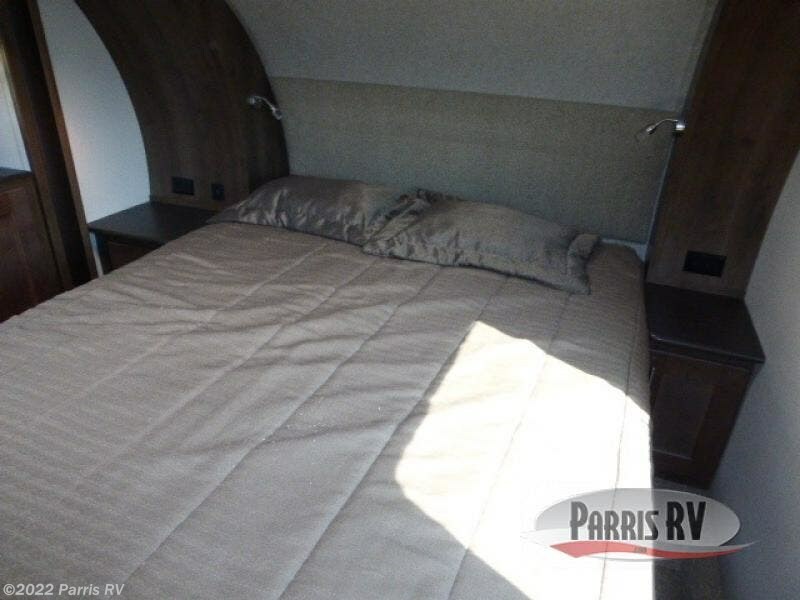 You will find that there is plenty of room and space inside this model to entertain a guest or two! 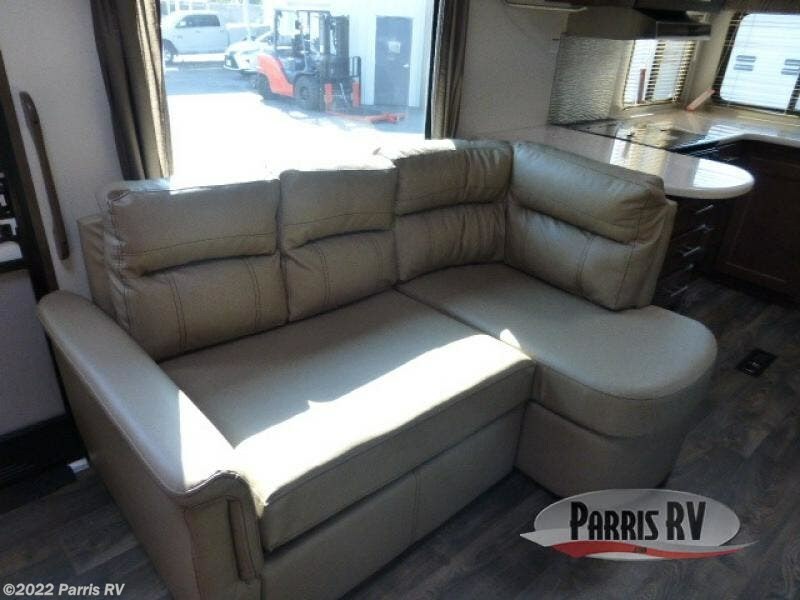 To the left of the entrance there are two lounge chairs or you can choose optional recliners. 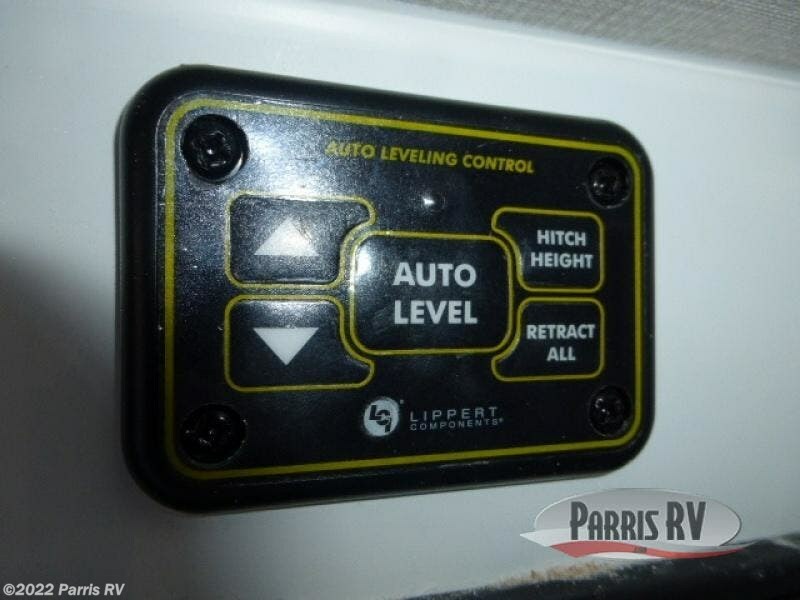 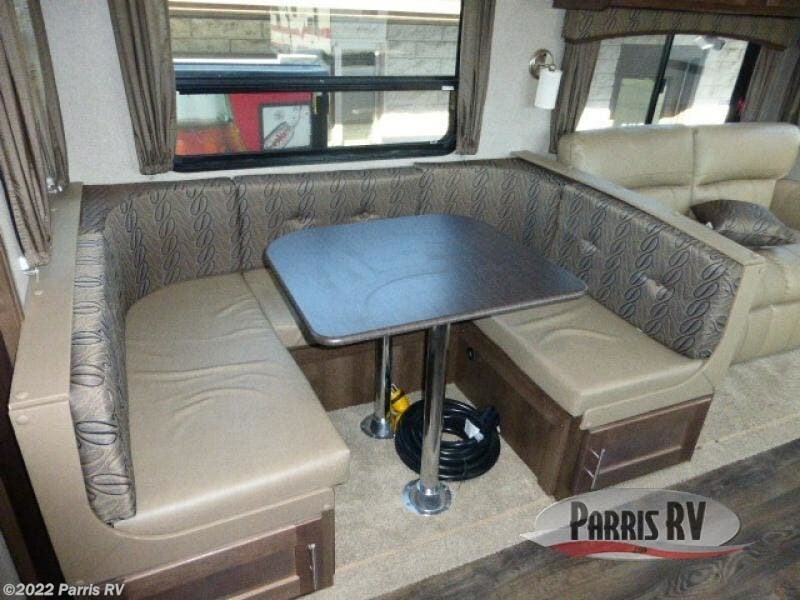 The opposite side of the fifth wheel has a slide out which really helps to open up the floor space. 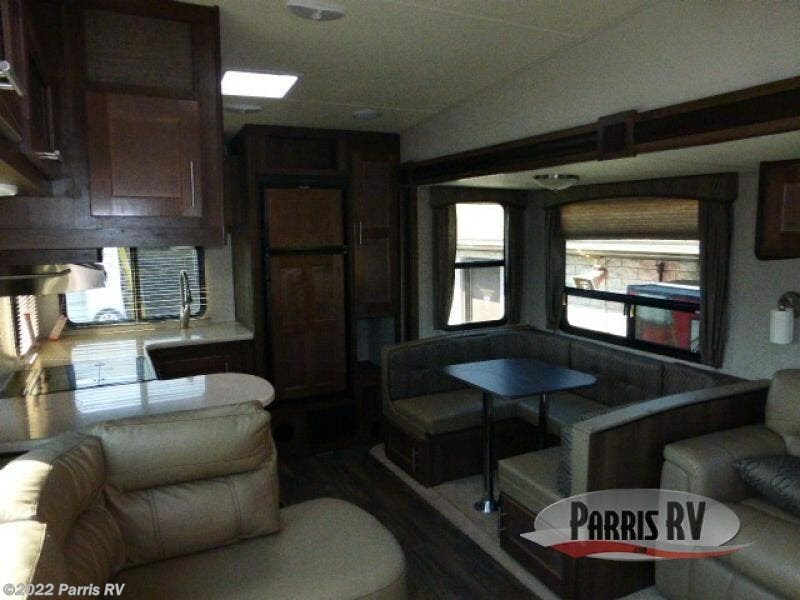 Within the slide out there is a sofa, an overhead cabinet, and a u-shaped dinette, or you can choose an optional free-standing dinette. 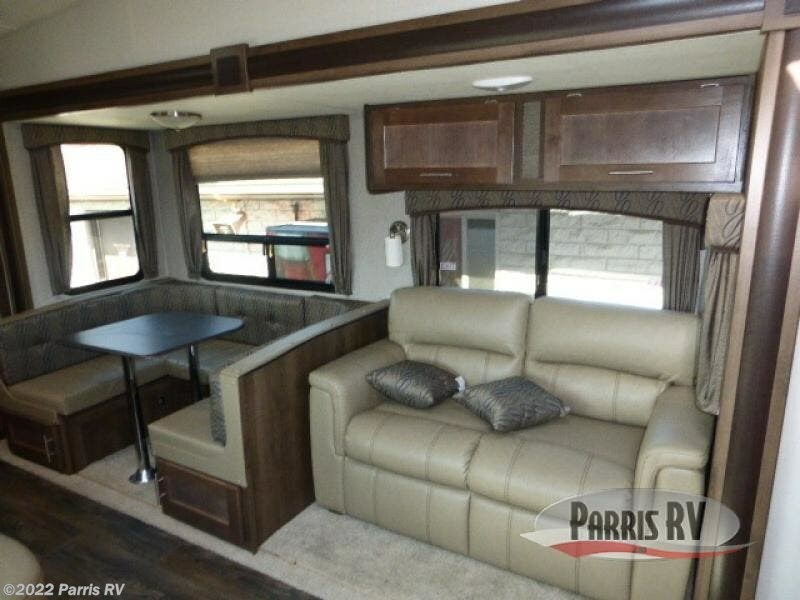 Both the sofa and dinette easily convert into additional sleeping space at night. 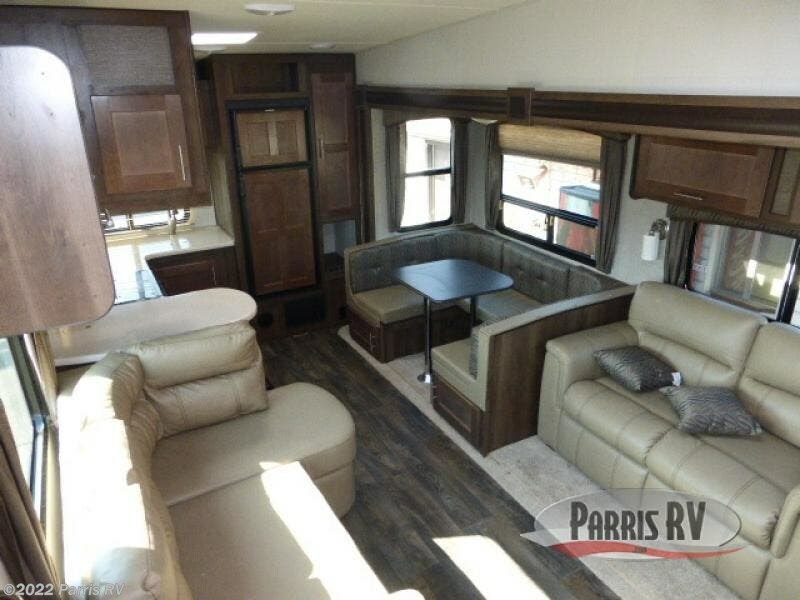 Adjacent to the slide out, along the interior wall is where you will find an entertainment center. 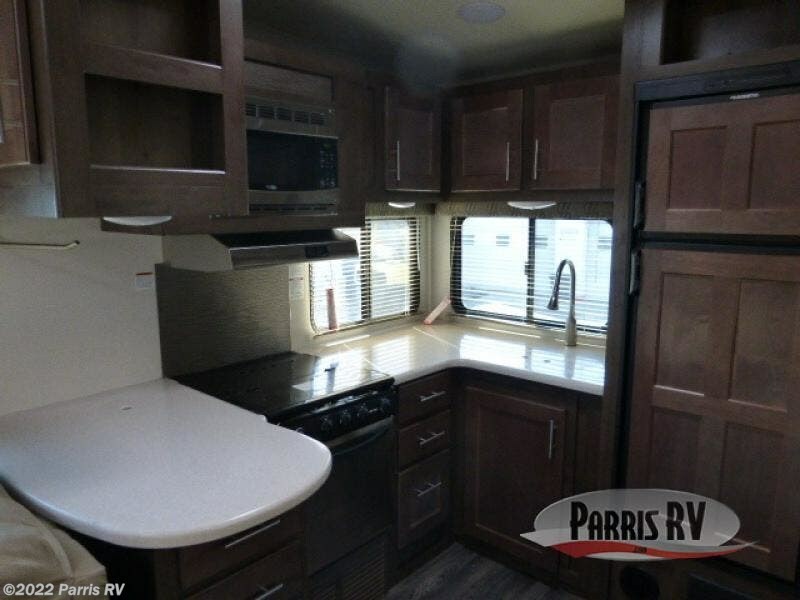 The kitchen area is located along the rear of this model. 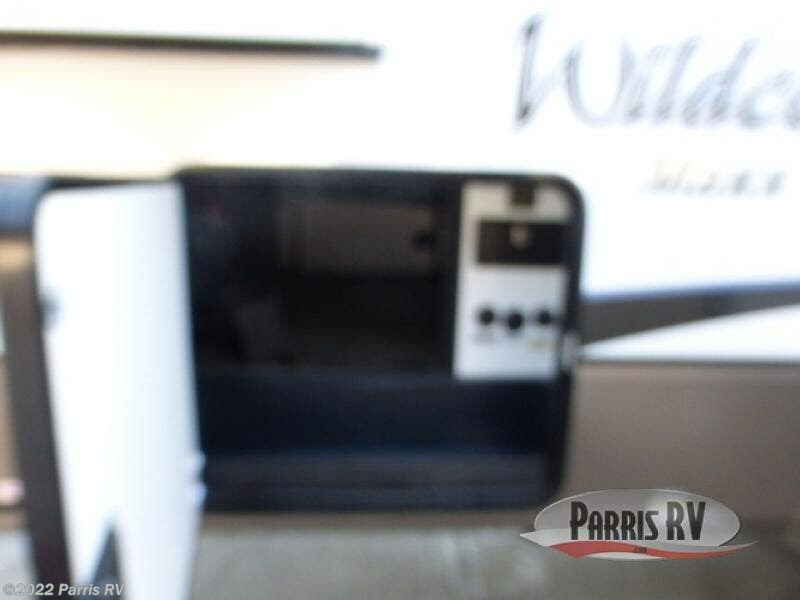 Just past the lounge chairs there is a L-shaped counter with a three burner range and a microwave. 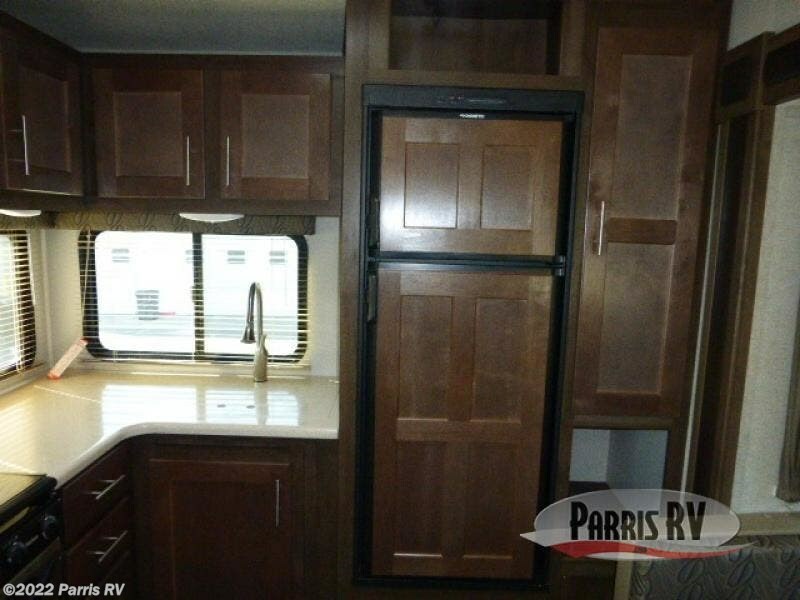 Continuing along the rear wall, you will find a double sink, refrigerator, and a pantry. 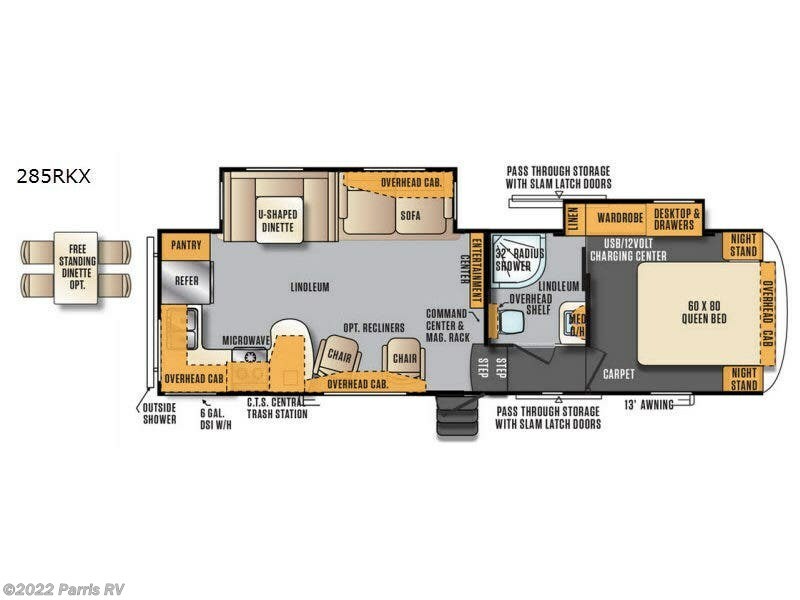 Step up to the bathroom and bedroom area. 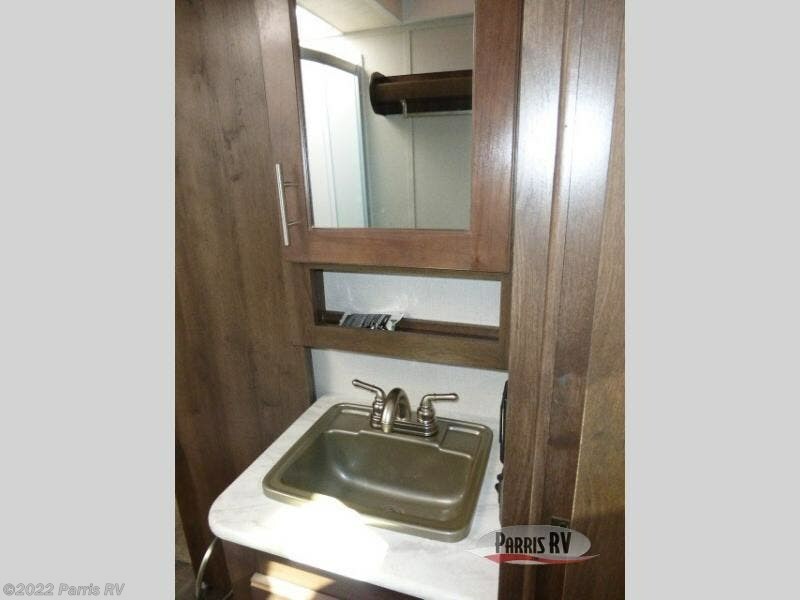 In the bathroom you will find a toilet, an overhead shelf, a 32" radius shower, plus a sink and medicine cabinet. 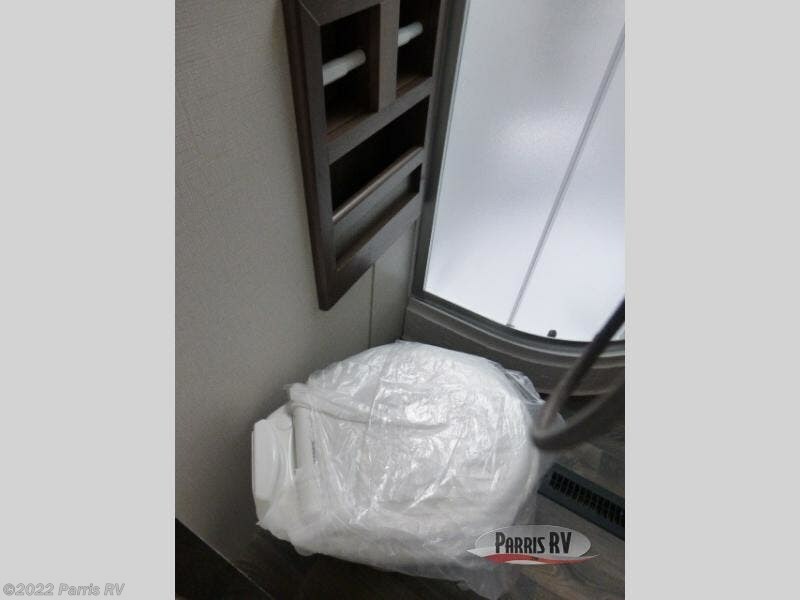 A linen cabinet is part of the slide out which extends into the bedroom, and a sliding door closes off the bathroom from the front bedroom. 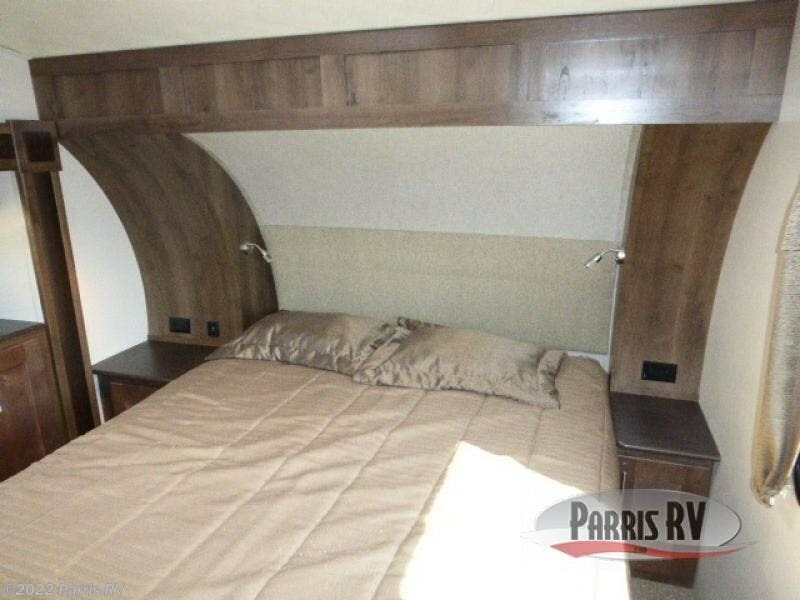 In the front bedroom there is a queen bed, two nightstands, and an overhead cabinet. 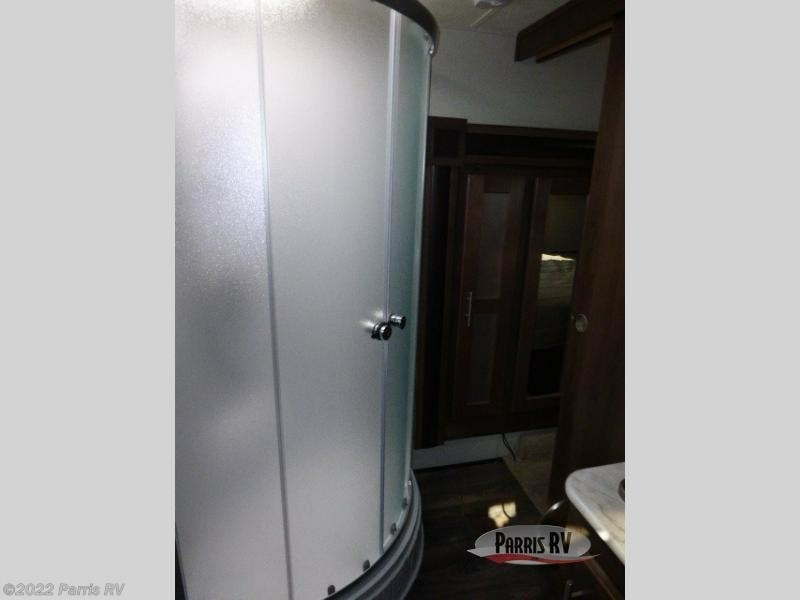 The slide out along the road side features a wardrobe, a desktop, and drawers. 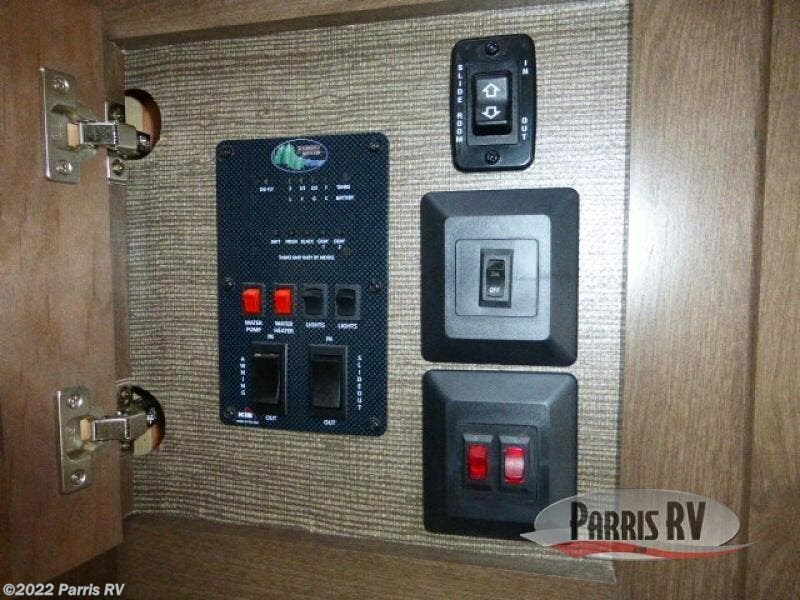 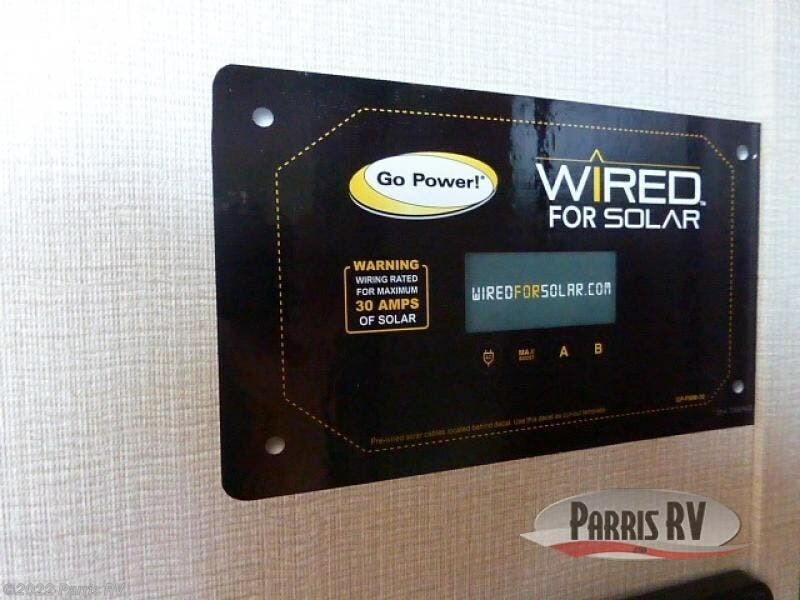 You will also find a USB/12 volt charging center here. 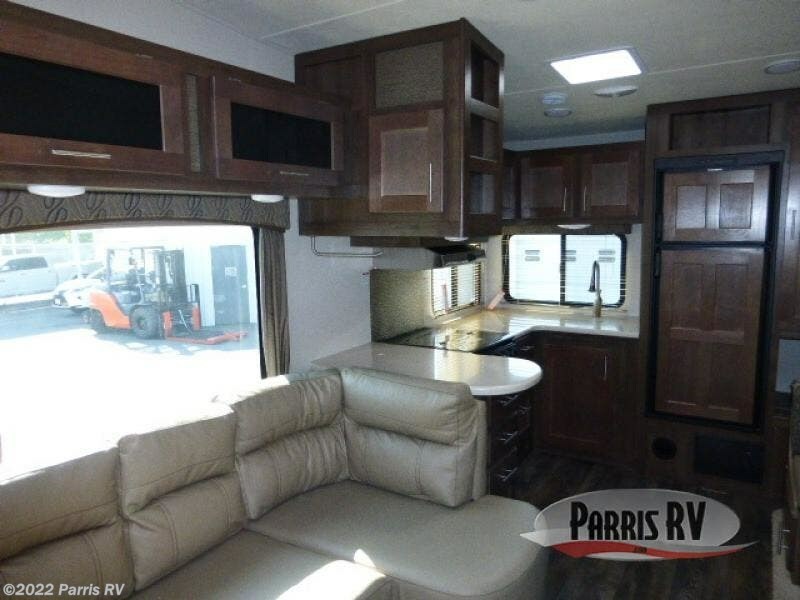 There are plenty of overhead cabinets throughout the fifth wheel. 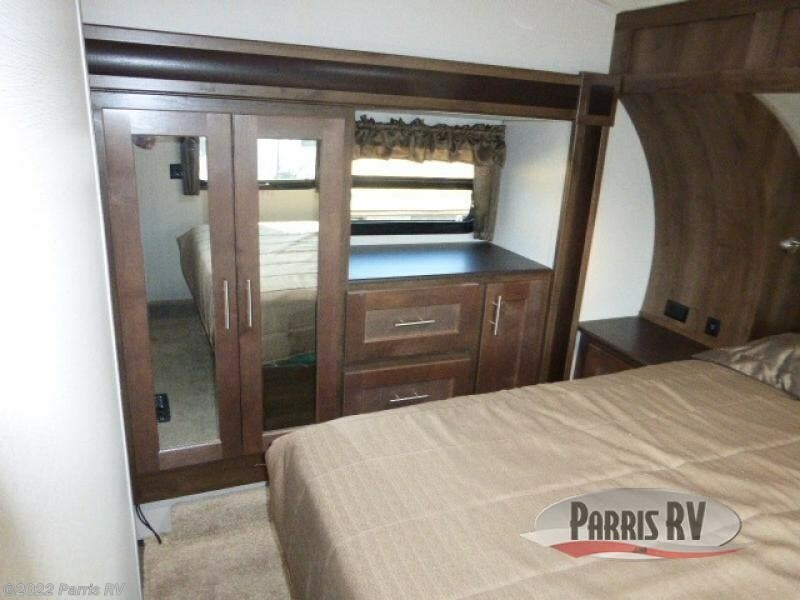 Outside you can enjoy extra storage space thanks to the pass through storage area. 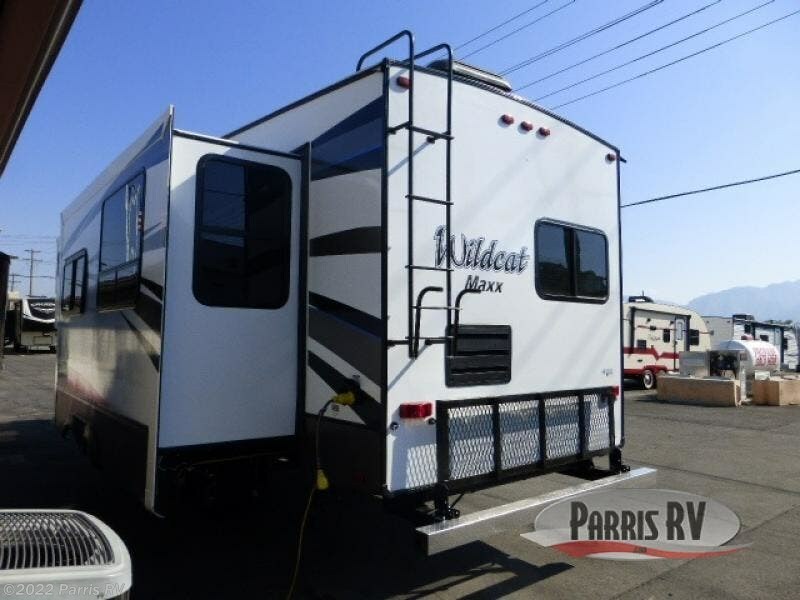 The outside shower allows you to easily clean up before coming inside, and more! 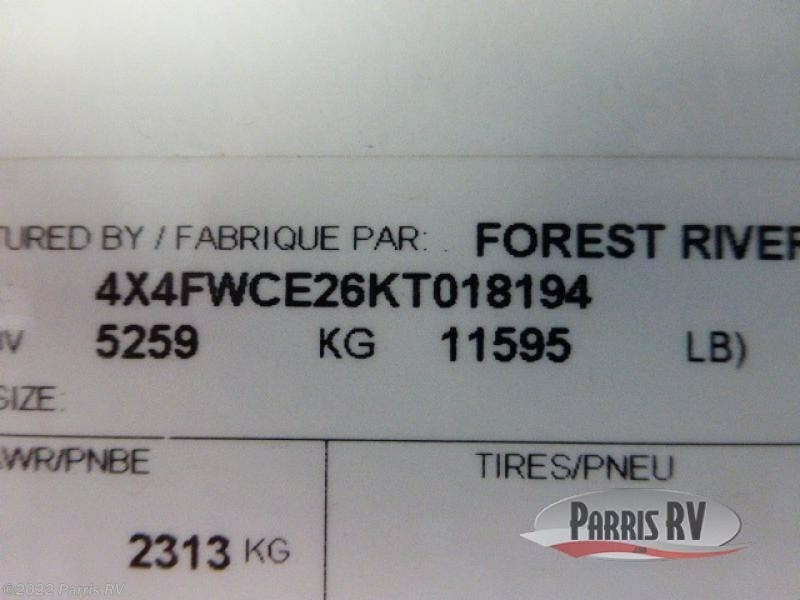 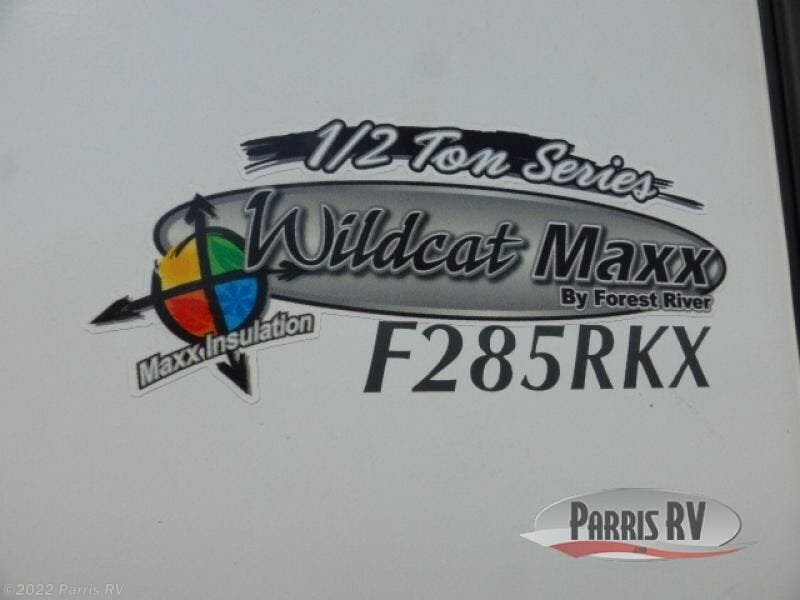 Check out Stock # WC018194 - 2019 Forest River Wildcat Maxx 285RKX on forestriverrvsource.com!